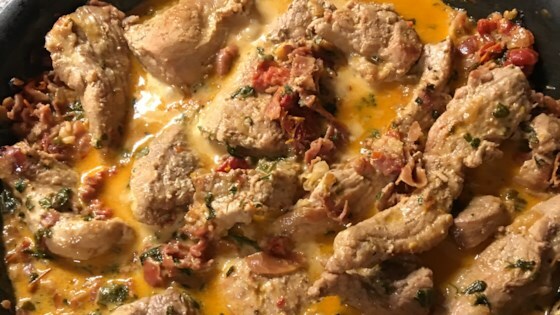 "Fresh sage, sun-dried tomatoes, prosciutto, and cream give this pork tenderloin dish its rich flavor. It's absolutely wonderful and simple! Chopped ham can be used if prosciutto is unavailable."